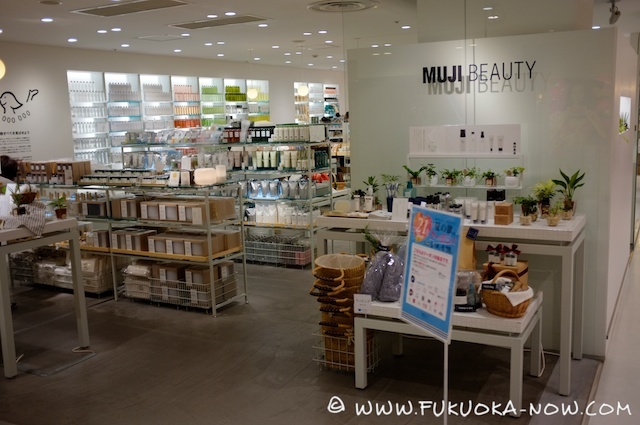 A great shopping spot in Tenjin for young and fashionable ladies. With eight floors and a restaurant floor, it takes two to three hours to explore the whole complex. You’ll find a range of nice resting places– including a boulangerie and coffee shops– where you can refuel for more shopping in comfort and style. 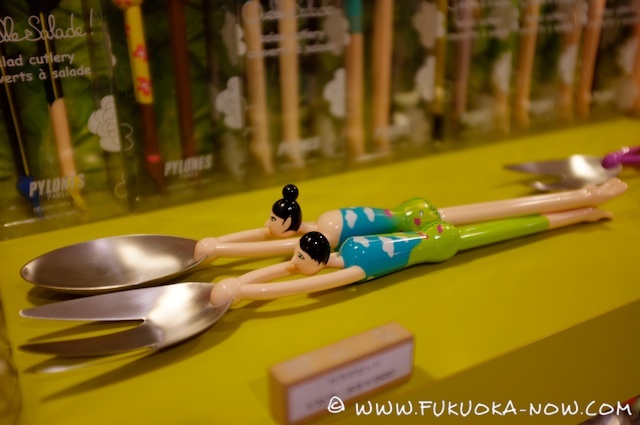 When visiting Fukuoka Parco, it might be a good idea to leave boyfriends, husbands and kids at home! 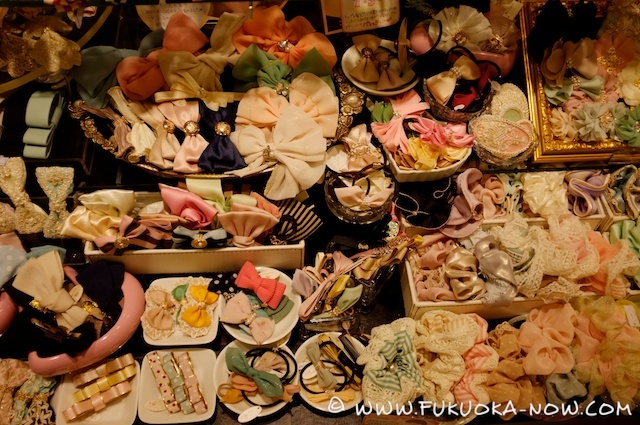 Young women will find everything they need and more: clothes, cosmetics, cute accessories…and sweets too! It’s also a wonderful place to find unique gifts, especially on the 5th and 8th floors. Ginren Card: Only at some shops. Duty Free: Only at some shops. Note: Duty Free shops are marked on the floor guide. 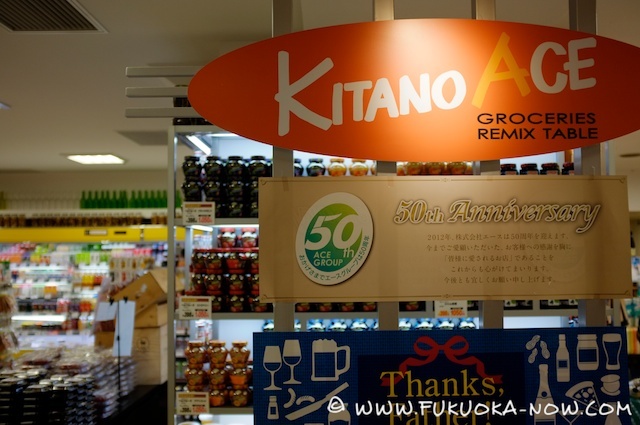 Kitano Ace is a luxurious little supermarket where you can find a selection of imported products – from chocolate and cookies to tea and pasta. 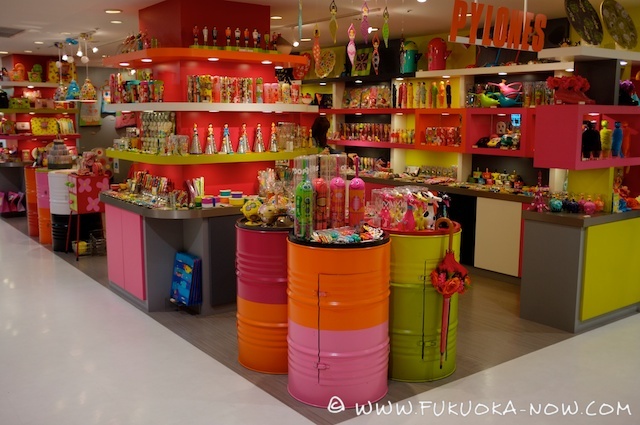 On the 5th floor, you’ll find a cute Parisian homewares/gift shop called Pylones, where you can buy household items with very colorful designs, shaped like quirky characters and animals. They brighten up any home and make special gifts for a friend’s birthday. Whilst you’re on the 5th floor, don’t forget to stop by Lush – the globally popular, handmade cosmetic store from the UK. 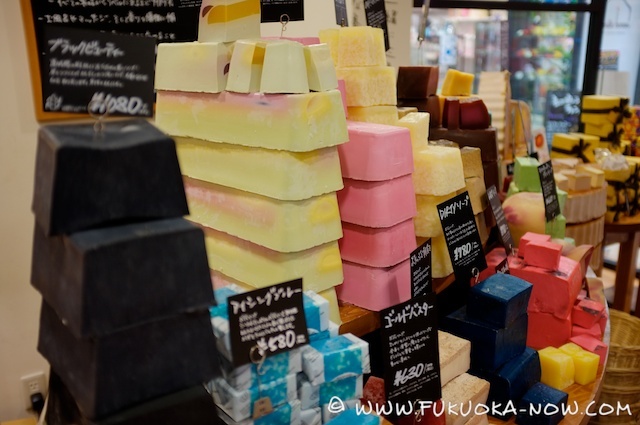 Amongst a great selection of beauty products, you’ll find delicious smelling soaps of every shape and color. 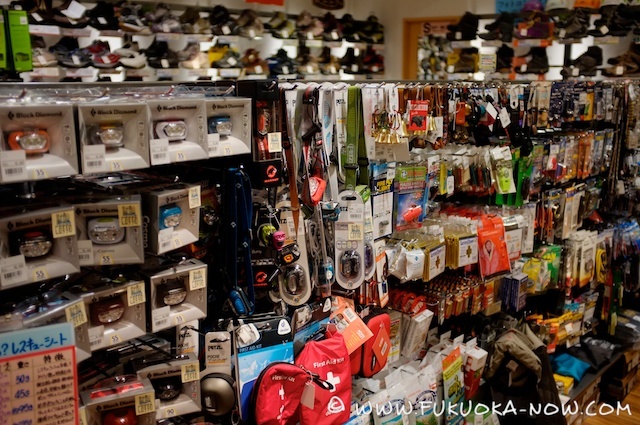 This huge outdoor equipment shop stocks not only clothes and bags, but every little gadget you might need to go camping or hiking.It’s also a good place for climbers, with a substantial selection of ropes and equipment. 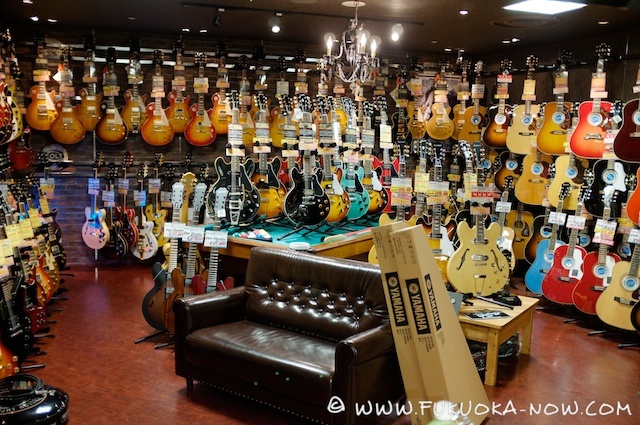 Guitar enthusiasts should make a point to visit this music shop, which has an extensive selection of guitars. It’s also a good place to find a gift for a guitarist friend of yours, as they sell a lot of guitar accessories. The most remarkable and unique restaurant in Parco is an all-you-can-eat cake buffet tucked away on the sixth floor, perfectly named Sweet Paradise! 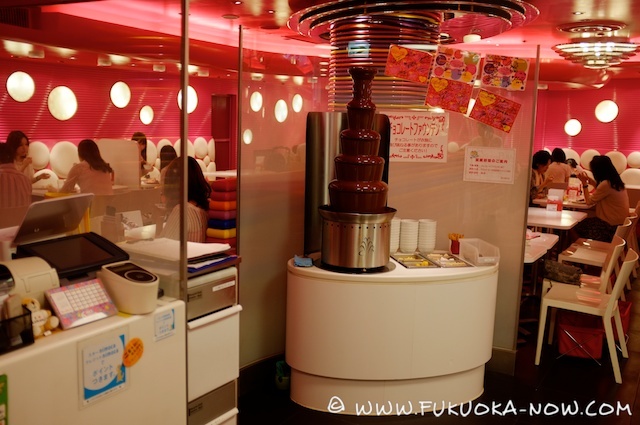 For ¥1,000 – you can spend time selecting cakes to try from the huge selection– there’s even a chocolate fountain! It’s heaven for sweet-tooths, and the cute interior makes it especially popular with ladies. • There’s a 7/11 ATM available on the 2nd floor. • If you’re feeling stressed after shopping, visit the massage station on the 6th floor! 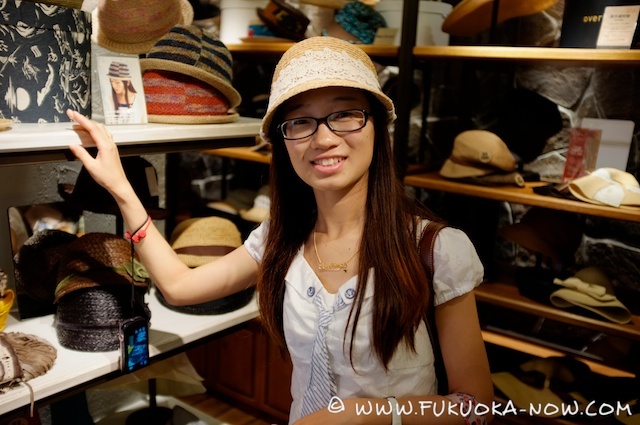 How to enjoy Fukuoka Parco? 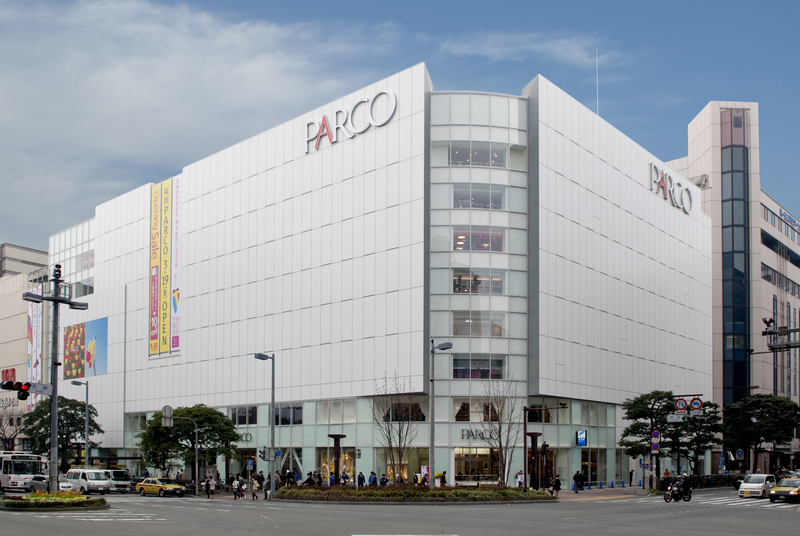 To get the most out of shopping, visit Parco with a good friend and a whole afternoon free to spend browsing. 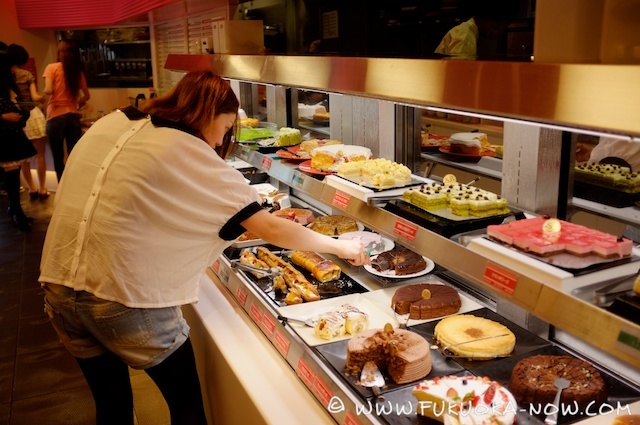 We particularly recommend indulging in a long snack break at the Sweet Paradise cake buffet (or in one of the nice cafe/boulangeries) and getting lost in the 5F gift shops. 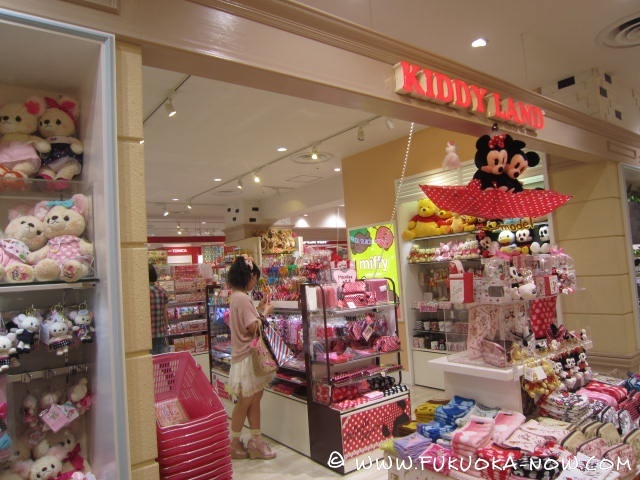 For Children: Parco has some shops that the little ones will love. 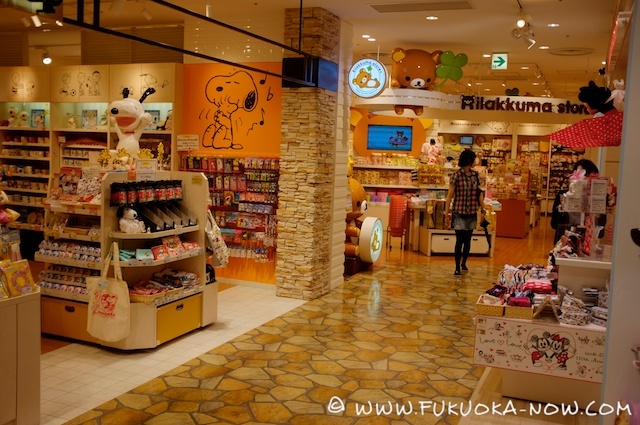 They’re sure to enjoy the character goods shops on the 8F, featuring popular characters such as Snoopy, Hello Kitty, Miffy and Rilakkuma, and there’s also a Disney store on the B1 basement level. 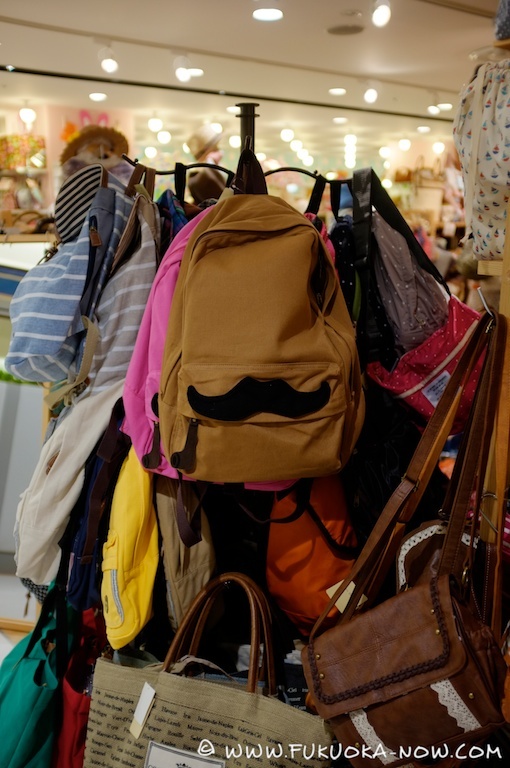 For Men: There are quality goods to be found for men- including backpacks, hats and other clothing. The 8F is great for hikers and musicians, and there is also a small shop inside where you can buy soccer fan goods including team jerseys from many famous clubs. For Women: A paradise for women, especially young ones! 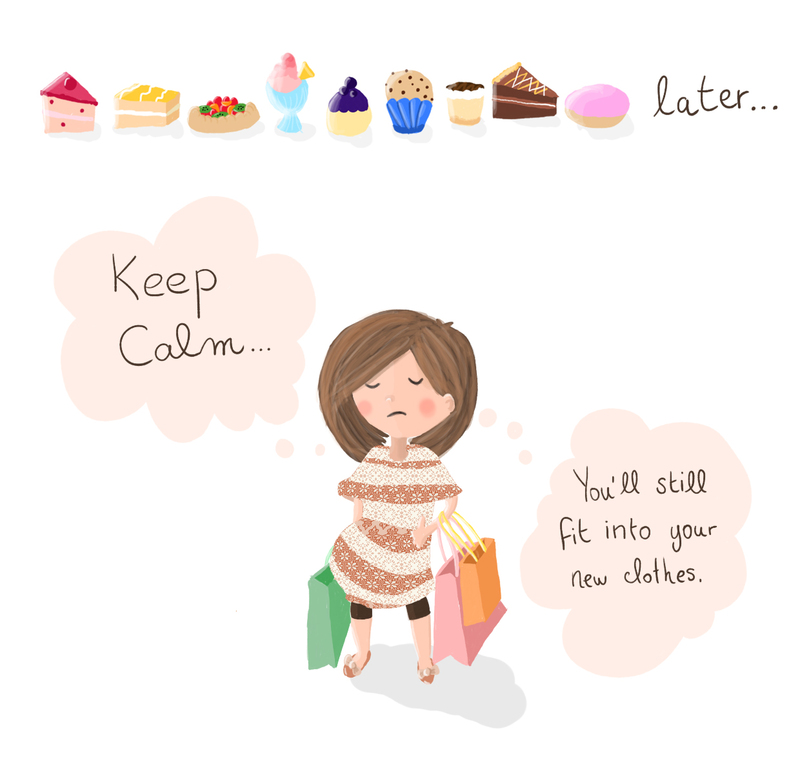 You’ll be surrounded by clothes, cosmetics, accessories, cute homewares, furniture and cakes! For Tourists: Overseas visitors should check out the little cake store on the basement level near Kitano Ace. They sell neat gift-boxes of typical Japanese cakes. 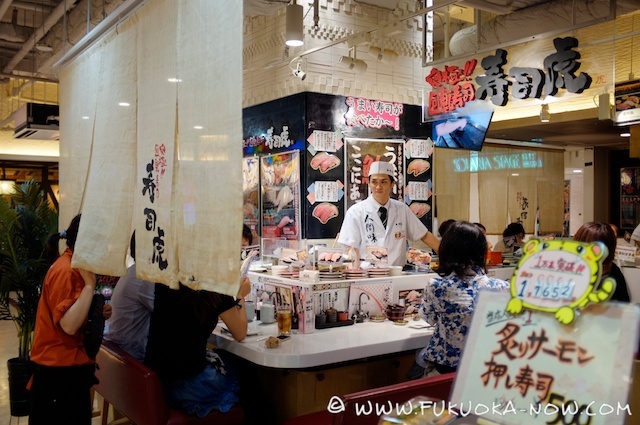 The restaurants on the basement level also cover a range of Japanese foods worth trying on holiday! What’s nearby? Parco’s location on the main street of Tenjin makes access very convenient. 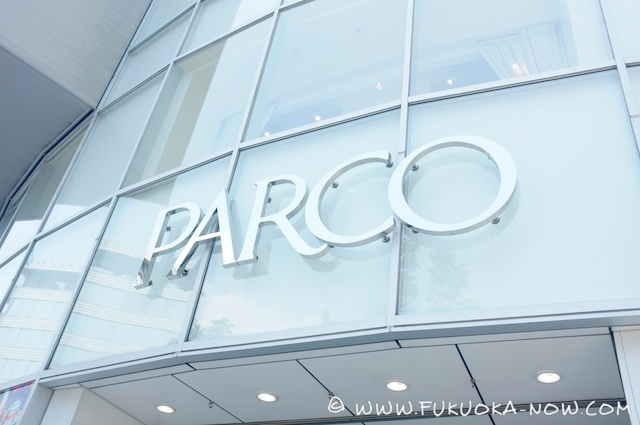 This also means that when you finish at Parco, you’re within easy walking distance of many more of Fukuoka’s main shopping centers! 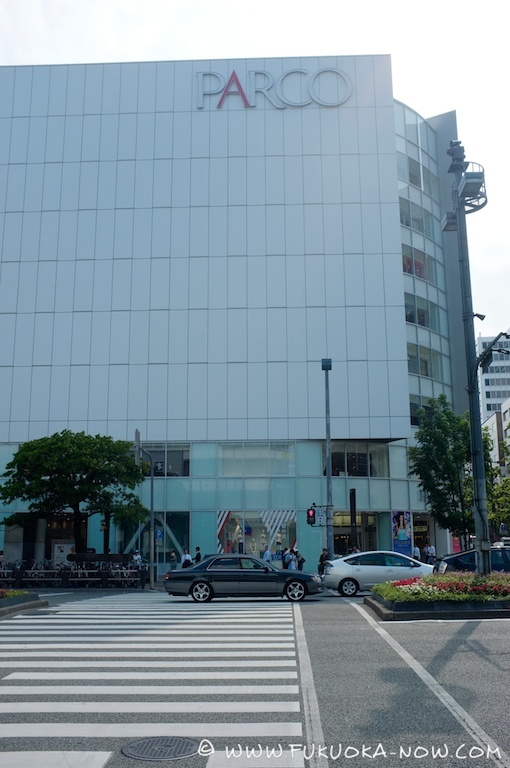 It’s also connected to the Tenjin Subway underground station, and directly connected to Solaria Stage shopping complex. Shoppers can wander between the two complexes with ease. 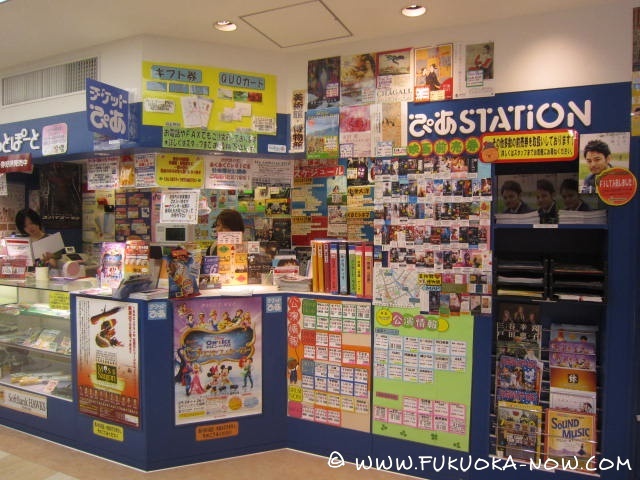 Public transportation: Subway Kuko Line – Tenjin Station – Exit 7. Open: 10:00~20:30, restaurant opening hours may vary.